We’re more than just a restaurant; we’re a multi-faceted experience! 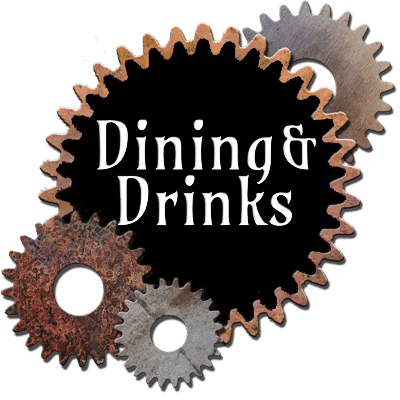 Our fun and funky Victorian steampunk look creates one of the most interesting and cool dining spots in Five Points. Our exposed brick walls, polished woods and industrial chic will transport you to another world that makes the hustle and bustle of the everyday world of uptown Denver fade away. That, combined with our friendly service, delicious menu items, full bar and themed cocktails, makes us a fun place to go for lunch, an evening out with friends or on a date, or just to hang out. We’re not just one of the most interesting restaurants in uptown Denver; we’re a multi-faceted experience you’ll never forget. 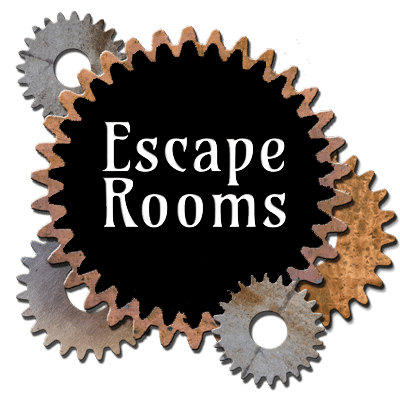 Part of what makes Solutions Lounge and Restaurant so special is our Escapology escape room games. You and your friends, family or co-workers can try your skills together and then enjoy a cocktail or mocktail themed just for your game. 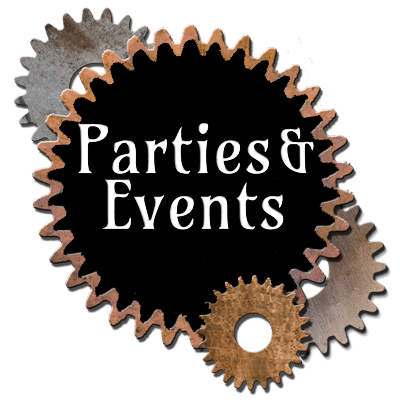 You can then join us in our steampunk-themed lounge and restaurant for amazing appetizers, full meals or some great local Denver happy hour specials. Compare us to Larimer Square restaurants, as well as to those in Downtown Denver, Five Points, Capitol Hill, 16th Street Mall and RiNo. You’ll see we’re anything but ordinary!